The only branded beer on sale at venues for the Games will be produced by the Dutch brewer Heineken, which Liberal Democrat Greg Mulholland said was a “wholly inappropriate decision”. Two of the brands that Heineken will sell at the Olympics – John Smith’s bitter and Strongbow cider – are made in the UK. But the lager brand Heineken is imported from the Netherlands. 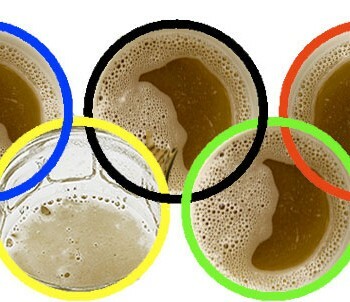 Spectators at Olympic venues, including Wembley and Lords Cricket Ground, will pay £4.20 for a 330ml bottle of the lager. The motion said it was a “wholly inappropriate decision based purely on the size of Heineken’s cheque book, and totally at odds with the strong emphasis on British character and identity at the heart of both the original bid and the preparations for the forthcoming London Games”. A Heineken spokesman said: “As the UK’s leading beer and cider business, Heineken is proud to have been chosen as an official supplier and partner to the London 2012 Olympic and Paralympic Games, building on an association that goes back 20 years. Surely it’s the same across all sports? It’s an international sporting event, it’s an international company, what do you expect? Sponsorship is about getting money in, it’s naive to suggest it’s otherwise; I think this is just a Mulholland publicity stunt – but that’s not to say I disagree with what his campaigning. …….the FA cup is sponsored by a water company isn’t it! !